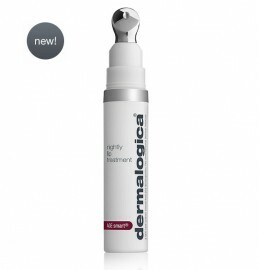 Dermalogica Nightly Lip Treatment has been specially designed to target and smooth the appearance of laugh and feather lines around your lips while you sleep. This rich overnight formula will firm, hydrate and restore the skin on and around your lips. Sesame Seed will help restore the skin volume and reduce the appearance of fine lines and wrinkles. Vitamin-rich Shea Butter hydrates your lips to improve skin elasicity and restore the barrier function against visible signs of ageing.